Nick Patrick’s thesis, “Preservation Construction: Design-Build versus Design-Bid Build” analyzes two project delivery systems, design-build and design-bid-build within the context of two projects he worked on while with Aeon Preservation Services, the restoration of original cast iron canopies at The Department of Veterans Affairs Building and the stone façade restoration at the National Gallery of Art West Building. Both project delivery systems were originally intended only for new construction, but Nick works to determine their applicability and appropriateness within the context of preservation construction. Nick acknowledges that there are many difficulties inherent in the cross application of design-build and design-bid-build with preservation construction, specifically: research and documentation, hazardous materials, unforeseen conditions, archaic and obsolete materials and construction, preconstruction investigation, realistic budgeting, detailed specifications, space limitations for utilities, extended maintenance plans, and most importantly preservation guidelines such as The Americans with Disabilities Act and The Secretary of the Interiors Standards for the Treatment of Historic Properties. Based upon these obstacles, Nick asserts that the five major considerations that should influence the selection of the delivery system for a project are: budget, design, schedule, risk assessment, and the owner’s level of expertise. Having established the five major determinates, Nick’s thesis concludes that both delivery systems are applicable to preservation construction and that the final decision of which to use should be made on a case by case basis. Aeon Preservation Services would like to say thank you for the opportunity to have worked with you this year on such amazing projects. Best Wishes for a Happy New Year. Happy Veterans Day! We would like to thank all the men and women who have proudly served our country. Aeon conserved the masonry of the Sherman Monument. Here is a close up of a Civil War Soldier. 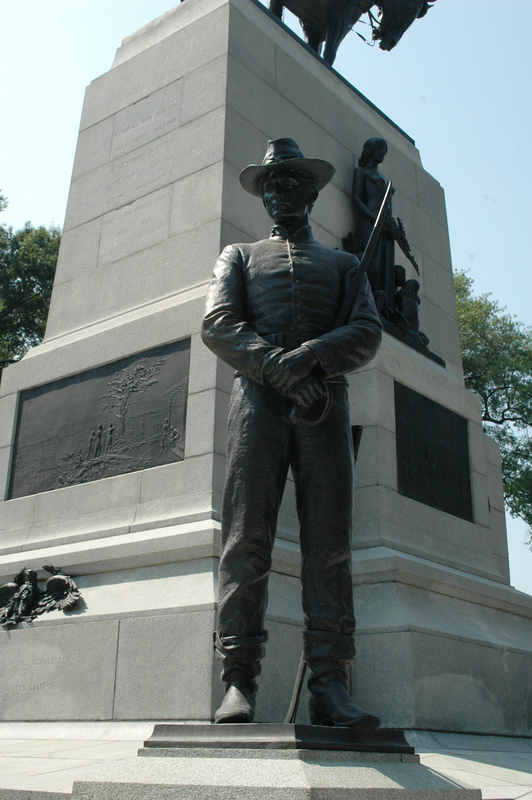 see a before image of the monument before restoration.